On Friday, we reported the results of a long investigation into the origins of Facebook that revealed startling new information about the company’s early days. Among other things, the investigation revealed that Facebook’s founder and CEO, Mark Zuckerberg, took private Facebook member login information and used it to break into the private email accounts of those members. At best, this is a gross misuse of private information. Facebook has not denied that this incident took place. 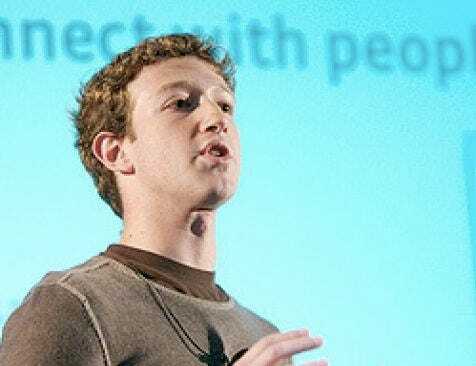 Facebook also has not denied that Mark later hacked into the servers of a competitor, ConnectU, and changed some user information. Given the general unease about the use of privacy and personal information online–and particularly at Facebook–and given lingering concerns about Mark’s business ethics, Mark needs to address these incidents directly and forthrightly. At the time of these abuses, Mark was a 19-year old college sophomore. If not an excuse, this is certainly a potentially mitigating factor–assuming that, in the 6 years since, Mark has significantly changed his attitude toward privacy and strengthened his sense of business ethics. A person close to Facebook argues that Mark has changed and that, in fact, it was the fallout from these and other early mistakes that have helped shaped the rigorous privacy policies Facebook has in effect today. We hope so. And based on the changes at Facebook over the past few years, as well as our interactions with Mark, we can believe it. But it’s a critical issue, for Facebook, Facebook’s 400 million users, and Mark–especially because 25 is not generally an age in which people can just dismiss “youthful indiscretions” with a wave of the hand. So we need to hear directly from Mark. Specifically, we need to hear Mark explain why, despite these early incidents, Facebook members can be certain that their private information is safe with the company, as well as how and why his own attitudes toward privacy and business ethics have changed in the past 6 years.